Toronto Real Estate Blog - GTA News : Milton Open House On Farmstead This Saturday June 2 & June 3! Brand New Coscorp Built Family Home In Growing Community! Sheldon Model! Derry/Tremaine, Milton - We invite everyone to visit our open house at 15-745 Farmstead Dr on June 2 from 2:00 PM to 4:00 PM. Milton Homes for Sale in Willmont! Coscorps Beautiful Executive Class 'Sheldon Model'! 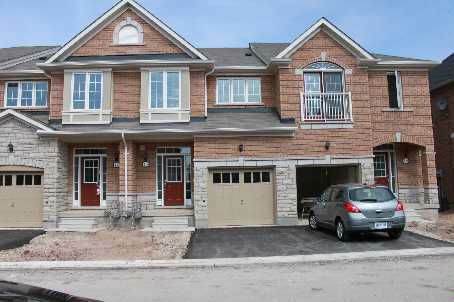 Beautiful 3 Bedroom 2 Storey Townhouse With 9' Ceiling On Main Floor. Offers Stone And Brick Elevation,Bright W/O Basement To A Private Yard Backing To Greenbelt. Dark Hardwood Floor On The Main Floor, Huge Master Br with 5 Piece Ensuite With Walk-in Closet, Entrance Thru Garage. Extras: 9' Ceilings, stainless steel Appliances, Granite Counter, Familysize Deck, 3 Piece, rough-In Basement, Pre-Wired For Security. Move to Canada's fastest growing community!